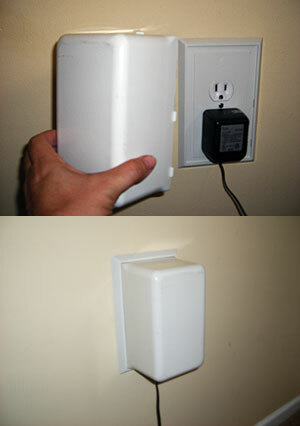 Large box cover developed to keep larger adapter plugs, power strip, plug heads, and large equipment plugs out of sight and out of reach of children. Available in center screw or decora style (top and bottom screws). Comes with backing plate and removable box top and screw.